Interests - Loves playing with Playmobil, loves playmobil, especially police and robbers. Police and bad guys in any form are guaranteed to make him smile. Likes cars and trains, puzzles, imaginary role play (school, mums and dads, farms etc), ponies and horse riding. Suffers from any developmental delay? - Tom has learning difficulties and relates best with children around the age of 5. Tom was diagnosed with Pulmonary Valve Stenosis and Juvenile Myelomonocytic Leukaemia at 11 weeks old. A few weeks later, it became clear that he had severe feeding problems, as the chemotherapy brought the leukaemia under control. He was also diagnosed with Noonans Syndrome. When he was 6 months old, we brought him back to England from France, and were told by Great Ormond Street that he may not need a bone marrow transplant. We are very lucky that the leukaemia has stabilised and he is currently under no treatment. He has had open heart surgery and will need ongoing surgical intervention as he grows older. He is tube fed via gastrostomy and now enjoys mummy’s home cooking through his tube. As a result his heath is much better than it was. He is a happy, lively, wonderful little boy, but has huge problems with fatigue. He is dependant on his wheelchair and struggles to stay in school as viruses knock him down so easily. Pain at night in his legs and tummy stops him from sleeping well, but he is always chirpy in the morning. He is my little superstar! For a while now, I have thought about moving Tom on from Post Pals. Not for any reason other than we know how much good this charity does not only to “sick kids”, but to their whole families. We know that the charity has grown from simple beginnings to offer many many schemes of post and little gifts to the Pals. As Post Pals is growing, so more and more families are in need of the smiles they bring. We have had Post Pals in our lives for a long time now and I am not exaggerating when I say that many, many times, those little letters on the doorstep have got me from one end of the day to the other – seeing the smiles on the children’s faces, knowing that so many people out there in the universe have taken the time to think of us with love and kindness, has often been the support and encouragement I needed to take that next step. My children are growing, and in terms of his medical problems, Tom is about as stable as he’s likely to get. Life is pretty good. Yes, we have continuing battles, but I suspect that will just keep going!! I’d like to help my darling children learn to be as generous to others as you have all been to them. I’m hopeful that we will stay in touch with our “regulars”, if a little less frequently. I need to teach Tom that some gifts have to be earned, as well! So we are moving on… not away. We have every intention of being a part of Post Pals but this time on the writing front. Of all the charities I have come across, Post Pals is wonderfully unique and it will stay very close to my heart for the rest of my life, I suspect. It’s no surprise that many Posties, Pals, and volunteers for Post Pals are also Facebook friends. This is a charity that is entirely about people, friendship, love and understanding, and we have been honoured to be the family of a Pal. With much, much love, and thanks beyond measure to all of you who have ever written to us, or sent us anything at all, little or large… for now, we bid you goodbye and fare well. Take good care of each other and yourselves! I’m so sorry this is a quick update. I want to say how amazing the gifts to all three children have been… they have brightened a difficult few weeks, as have the cards and letters. We are continuing to battle the school system, which is wearing me down considerably. His CT scan last December was normal, so we have an appointment to see what we do about his headaches on Thursday… lots of questions! Kesia is being very brave and managing to go into school a little more with the support of a teaching assistant, but we are still all living under the shadow of her anxiety. Zack is amazed and stunned at receiving parcels, and thrilled, thank you all so much! We’re heading for winter! The first sign is usually Tom getting styes! At the slightest sign of a cough I up his inhaler dosage to twice a day. We avoided a hospital stay last winter for the first time, so hopefully this year will be good too! I must go and check that the nebulizer works and I have supplies – it’s saved many a hospital trip! Ulcers are also showing us that his immune system is struggling a little bit. Not that Tom pays any attention to all that – he’s focussed on Christmas! My big battle right now continues to be schooling. The psychologists came into school this month and seemed to realise how isolated Tom is. When asked if he was friendly, my little man thought a while, then answered that he was friendly with dogs… Their report is now apparently complete. As for when they will actually DO anything, I still don’t know. So I’ve hit the stage of calling the authority every few days. Hopefully they will move if only to get away from me! Health wise, we continue to have some concerns about Tom. He has been losing weight for months now despite getting plenty of calories. The paediatrician feared it might be linked to his growth hormone treatment, but the specialist has pretty much ruled that out. The next port of call is the gastro-enterologist, so I’m waiting for a referral. It shouldn’t be too long since he has an open case with them, but hasn’t been seen for a few years. In the meantime he’s to undergo a CT scan of his head as he’s been getting almost daily headaches for nearly a year now. I have to say that there’s the thought of cancer at the back of my mind, but so far his blood work looks normal. Hopefully we will find out that it is a gut issue. I’ve talked to the docs for about two years now about my feeling that he does not process fat normally, and I wouldn’t be surprised to find that this is the problem (don’t panic is the name of the game I think!). Other than the CT scan there are no appointments till January, so we’re all looking forward to Christmas. Zack will be rejoining the main family for Christmas week itself after three years of spending it with his grandparents – I put that down to his amazing school, and I’m looking forward to it! Nick has been working extremely long hours, but is now theoretically going to be around much more which will do all of us the world of good! Lovely post this month. Thank you Becky especially for your letter to Kesia – it really rang true for her and she absolutely loved it. Maria and Michael, you started Tom’s Christmas, thank you so so much!!! The children were really sad to receive Dottie’s last letter – they will be much missed, but we have kept them all preciously so we will have to re-read them!! Thank you to all of you at Post Pals. I often share your link and speak of you on my blog because I truly believe that of all the help we get, yours is probably the most far reaching. October has gone by in a blur! Our big news with Tom was that we had to suspend the tube weaning program. Since then I’ve increased the amount of tube feed he gets in an effort to get him stabilised. I thought things were improving, but in the last week I find myself worried once more. We’re waiting for an urgent medical review, but the complexity and uniqueness of Tom means that a reliable review can only really be done by his main paediatrician… which would be all very well if her appointments schedule had a gap in it before March of next year. As it is, she is trying to fit him in somewhere, but that takes time so we wait. I’m fairly sure something’s wrong, and I’d be a little happier if I knew what! School is still in limbo, but he’s looking forward to a trip next week to a Victorian school for the day. I made him a costume last week that I’m (and he is) very happy with. Kesia continues to wobble along… not much news but a lot of stress around my little lady. Zack was home for two weeks this month for his half term. He was thrilled to open his letters from Post Pals, and clearly appreciates the little notes… Wendy’s cards, as ever, are beautiful and all three children love to see the care that has gone into personalising each one. It’s been hard work having all three children home this week, and I’ll be glad to see a semblance of normality… sometime? Tom has a few appointments in the coming weeks… cardiology, haemophilia, endocrinology, amongst more mundane things like physiotherapy etc… So I don’t know about normality – I’ve got to squeeze Christmas in there too! It’s a rocky time at the moment. School is in a period of major flux for Tom and Kesia in completely different ways. Tom has now been “classified” as having learning difficulties, and his timetable is so complicated that I’m not sure he spends much time in class. Between physiotherapy, rest breaks and relaxation, speech and language therapy, riding, hydrotherapy, tube feeds, one-to-one literacy and all the hospital appointments, it’s hard for him to access anything resembling a normal school day. So add in learning difficulties and it’s not surprising that he’s feeling overwhelmed and quite upset about the class work which he finds terribly difficult. He’s loving his one-to-one literacy lessons as he feels that he is achieving. We’re still waiting for the local authority to realise that he needs a special school, and hoping to keep him healthy in the meantime. Kesia is struggling due to her Asperger’s syndrome. She is managing a few hours a week at school, but spends much of her time at home as we await the process of getting a statement, and hopefully a place in an appropriate school next year. She’s loving the letters she gets from Post Pals, especially those which ask her plenty of questions or tell her things she doesn’t know. And my eldest, Zack, is a little isolated right now. Some social issues have conspired to make him feel that Mummy is a “bad guy”, and as a result he’s been refusing to speak to me. From the distance of residential school, that’s difficult to fix!! Fortunately, school are being amazing and trying to get to the bottom of the problem. He really enjoys funny letters, and I am trying to get back into his mind as “happy Mummy” through mail… Fingers crossed!!! All in all, it’s a tough time, but we’re working one day at a time. Dottie’s letter arrived today and will be opened at breakfast tomorrow, to the delight of both Kesia and Tom!! Thank you to all those wonderful people who have been writing to the children. They really love opening those letters, and any smile on their face lightens my load more than one can imagine! We’ve had a busy summer – as ever! So… Eldest Zack is doing well. He managed the best summer holiday ever, and really enjoyed opening a whole load of Post Pals mail that I had kept for him while he was at school (some I forward, but I’m not always as organised as I would like – as seen by my untimely updates!!). He’s now back at school and I’ve just heard that he has been chosen of all the boys in the school to pilot a scheme whereby he will have one to one music lessons due to his potential. I am SO proud of him. Sweet girl Kesia now has an official diagnosis of Asperger’s syndrome, extreme anxiety and sensory modulation difficulties. She’s on medication which is helping calm her, and school are being amazing. She’s on an extremely reduced timetable at school but has managed three whole mornings at school this week. She loves receiving post, especially letters and loves learning about other people. As she’s getting older she’s also enjoying the act of answering, and slowly developing a dialogue with someone through letter writing. Little man Tom… my official Pal. Well, he’s OK, though life is giving him some struggles. Health wise, we’re keeping things just about stable. The feeding therapy has hit a sticking point because although he’s eating amazingly well, he’s been losing weight, and certainly isn’t gaining any. The doctors are going to talk and think and try to come up with a plan. Autumn has hit with a vengeance this week and he has a stinking cold, following yet another ear infection. But he’s now an expert at administering his ear spray, and is taking charge of a good part of his health care. 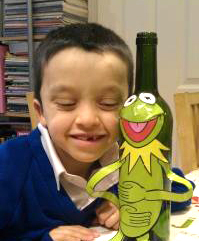 Tom loves the gifts he receives through Post Pals and we are working on thank you letters. Tom’s writing skills are limited, but he needs to learn how lucky he is to be in so many people’s thoughts… and he loves the special thank you paper we have to send our letters. He loves cards like the where’s Wally? ones, that have a lot to look at. He also loves receiving doggy news – Izzy and Dottie are great friends. I wish I was more organised… I’ve tried so any systems to keep on top of the post we receive, to thank all those who write to the kids (and to me and Nick), and to fill out the stats for the wonderful girls at Post Pals who keep all this going. I haven’t succeeded yet… but I’ll keep trying!!! Thank you all so much. Sometimes when the kids are fighting because one got more post than the other I find myself wanting to throw the baby out with the bath water. But then one of them comes to show me a letter or card they received (that day, or a while ago), with a big smile: Tom because it’s made him laugh, Kesia because someone thought about her, Zack because something interested him; and I remember that Post Pals is quite quite wonderful and that it’s probably normal for my sweeties to squabble and argue. It’s already the beginning of July and I’m painfully aware of the fact that I have not kept up to date with the wonderful people at Post Pals. We have been so fortunate to receive such regular post and the schemes to have assigned people to write to the children has engendered a wonderful sense in them that they are cared for, deeply by strangers who are now becoming friends through their beautiful acts of writing and showing interest in them. This is amazingly precious to us as friendship is something we find difficult between Tom’s disabilities which tend to alienate children of his age and Kesia and Zack’s autism. Life in the world of Tom S and family is rarely routine or particularly stable. Many of our challenges stem from having three children with special needs in the family and the rather strange dynamics that ensue, never mind the vast piles of paperwork that are generated by this situation. This year it has become clear that Tom has a degree of learning disability and he has fallen increasingly far behind his peers. This combined with complex medical needs and a lack of social peer group (children quite understandably struggle to treat him in the same way as they do other 8 year olds as he looks and behaves far more like a 4 year old) has led us to request a change of school placement to a special school. Why this didn’t happen earlier is in large part due to the good support his current school have provided and the lack of appropriate schools. With a big effort put towards finding good provision, I eventually found a school and Tom was finally able to spend a day there a few months ago. Now comes the battle. We are now in the unenviable position of having to focus everyone’s attention on all that is negative about Tom’s life. The review meeting was held, we walked out feeling utterly defeated and isolated. But we have picked ourselves up, put all the facts down on paper and are now living in limbo waiting for the LEA’s decision. In the meantime, Tom’s health has remained fairly stable though there has been an increasing focus on trying to deal with his chronic fatigue and pain. After 8 years he was finally fully assessed by a physiotherapist and the importance of daily physio has been drummed into me as a matter of extreme importance… Now to get the support to enforce that program properly. The local physio has just put in place a block of 6 sessions with her which is clearly working his muscles very carefully and well. What happens after that 6 week block is much vaguer. Occupational therapy are also finally becoming more involved in helping Tom, particularly by providing such aids as thumb splints to help him write and recommending rest breaks in his school day. Trying to get all of this incorporated into a mainstream school day is an enormous task and we end up once more at the conclusion that his needs are complex enough that only a special school can truly meet them. Through all of this, Tom continues to love the post that lands on the doorstep… The mischievous rascal takes great pleasure in counting the letters and cards and gloating if he has more than his siblings. Of course, the strops that follow the reverse are quite monumental to behold!!! He especially likes cards with a few simple words that he can read himself, or ones that ask him to find something in the picture. Kesia, our little princess attracts many writers, and she loves letters. I have to say I love the fact that she replies to them… I am remiss in not replying to more myself. She has had a tough few months and is finding school extremely difficult at the moment. We are pursuing help for her as well so are fighting battles on two fronts at the same time. Tired and stressed parents, but I have to keep reminding myself of the smiles that do keep coming! How to thank the outstanding team at Post Pals?? These amazing ladies, most of whom are bed bound due to illness, nevertheless seem indefatigable in their efforts to make us smile. Thanks to them, the children bound to the door whenever there is a knock or the postman becomes visible. Not only do they work tirelessly to maintain Post Pals, but it seems that year after year they dream up yet another idea to make our children grin, smile and laugh. In the last couple of months we have received around 18 cards and letters and four parcels!!! I especially love the scheme that pairs a volunteer with a child to ensure that regular post is received. Tom loves D’s letters and can’t wait to find out if she has been back to France as he is quite keen to hear more about the chickens there, and Kesia simply loves Emma (loves her letters too, but actually despite never having met, Emma is clearly a loved one). The Valentine’s cards were lovely, and my three were mesmerized by the question mark inside the Post Pals ones – a lovely sight. I cannot forget to mention the very literate doggies who write to Tom and Kesia. Percy the Poodle continues to enchant Kesia and Tom adores letters from Izzy – especially all the pictures! Dottie the Dalmatian is near and dear to our hearts, and we have a wall in the playroom dedicated to her beautiful cards. And I cannot forget to mention our regulars: Wendy’s wonderful hand made cards always enchant as they picture the specific interests of each child, and Maria and Michael send lovely chatty letters. To top it all off, I just received a chocolate lollipop and a Mother’s Day card from the Post Pals team – my first of the year! I feel so cherished, thank you. And so to update you all on my boy Tom! As ever, it is difficult to separate one child from the other, as my life bounces from one little crisis to another. Zack continues to do well at his residential school though Asperger’s syndrome lives with us daily – it’s always a challenge to keep up with his obsessions and imaginary worlds!! But I am more grateful than I can say that I no longer worry about him daily. My two little ones are a different matter – though we are rarely in acute situations, our daily life is coloured by illness and disability and the stresses of this show up in sometimes unforeseen ways! Tom is back on growth hormone injections and is growing! His little legs are covered in bruises, and I continue to try and persuade him to use his bottom without success. His godfather (who is diabetic) did tell him that “the bum is best” and hurts least, but Tom remains unconvinced, leaving me with the unenviable task of finding an unbruised square centimeter of thigh… He is remarkably resilient and makes very little fuss so long as we keep our deal of a special bead onto his Beads of Courage string each Sunday. In fact, I think he finds his medication worse than the injections!! He has been finding school increasingly tiring in the last few weeks and I suspect that he will need a few days off shortly. Treading that fine line between normality and care is something I find especially difficult to do with Tom as he tends to charge through life until he collapses. A recent assessment showed us that while his IQ is in the normal range, he has significant problems with working memory and processing speed, making learning difficult. School is an ongoing issue which I hope we will resolve in the next few months. We are extremely fortunate to have a school which takes very good care of its special needs pupils, so I’m sure we will reach a good result! Feeding clinic starts tomorrow… I’m nervous, but quite confident that it is a good thing to embark on. I’ve been managing Tom’s feeding problems alone for five years now and it’s high time I had some support with it. Whether we will get him off the tube, I don’t know, but I can at least be certain that we are being helped by the right people. My little girl continues to struggle with life. We are ending the psychotherapy as it really is not helping her in her daily life. The issues go on, and we need to pursue some kind of help for her, but clearly therapy was not right for her – at least not there and not now. I have to say I am relieved that these twice weekly trips will stop – they have been traumatic for quite some time now. And then I suppose, there’s the parents. Due to a silly mix-up, Tom has not been to the respite centre for a couple of months now. It’s very much at this sort of time that I come to realise how badly we need that respite as a family. Nick (Dad) has long days at work, and the weekends need to feature at least some periods of calm and peace for him to be able to function both at work and as a Dad. Unfortunately, the lack of respite has led to very fractious children, neither of whom can control their reactions or emotions very well… leading to many many tantrums, and very fraught parents! I will be ever so happy when April comes round and normal fortnightly trips to Cherry Trees can resume for Tom – he does so well there, and Kesia and Nick can get that calm and peace they so desperately need! Not to mention my fortnightly guaranteed night’s sleep! It’s been a busy month after Christmas! We had a whole load of appointments at GOSH, with more coming up in February. I think our biggest issue at the moment is Tom’s schooling. He has so much support where he is, but it’s becoming more and more clear that mainstream is not a great fit. He is falling behind his peers, and mostly his physical and medical needs are just beyond the experience of teachers who just don’t have the opportunity to train in some quite specialised areas of care. Luckily, we happened upon a great occupational therapist just before Christmas who suggested a school for children with physical and sensory issues. Medically, Tom is doing really well with his growth hormone injections each night. His Beads of Courage string is growing in length and I’m really proud of the matter of fact way he approaches them. His little legs are covered in bruises, thanks to his platelet dysfunction. There are days when finding a patch of clear skin is tough which is a little heartbreaking. True to form, Tom thinks this is all perfectly normal! We’re beginning our year really well with Post Pals! We’ve decided to keep all our post on a beautiful red ribbon so that we can look at the cards and letters and I can do the updates better! Tom and Kesia have been really keen to answer their regular posters which is lovely. Tom especially is very limited in his ability to type or write, so I’m especially proud of him. He especially loves letters which refer to the picture on the card and we love Izzy and Percy, the dogs who write so well! I have to thank Post Pals again, as this is going to help his literacy no end!! Zack is doing really well in his school, and quite happy to be there until half term. Kesia is having a tough time of life, especially at school which she finds overwhelming and frightening. She loves receiving post and would love to answer more often. She tells me that she doesn’t know what to write, but does like to answer questions!! Thank you to all of you who write to our children… those little smiles are worth the world! Thank you also to all the team who make Post Pals possible. Oh my goodness, I had not realised I was so behind with Tom’s updates. I am so sorry because just last week, Kesia and Tom were saying how much they love receiving post from Post Pals. It’s been a busy few months, for all the children really. 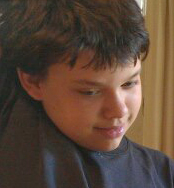 Some of you may know that Zack, Tom’s older brother, has Asperger syndrome and is at residential school. He is doing well there, but home-time is always difficult. I forward any of his Post Pals mail and he absolutely loves it. Kesia is still struggling with extreme anxiety and difficulties around food and school. We need to pursue a statement of special educational needs for her to ensure that she can go to a secondary school that will allow her to thrive. That has taken a lot of our energy and we continue to do all we can to support her and give her opportunities to smile and feel happy. So, our pal Tom!! Tom’s had quite a hard term so far. He suffered a very bad few weeks of croup and an ear infection that stopped him going to his beloved hydrotherapy… a very unhappy little boy! For a good six weeks he and I spent much of the nights awake with the nebulizer to try and avoid hospital. On the whole he did well, though we did have a couple of midnight trips to our local when his breathing got really bad. Some really good news in the midst of all this fairly normal illness was his cardiology review. His heart continues to be stable and the doctor is very happy with him. We are therefore back on to growth hormone injections daily that Tom is managing amazingly well. His beads of courage help him enormously, and he has made a deal with me to earn a special bead once a week as well as his daily black bead (the black beads symbolise a needle). We see the endocrinologist at Christmas, and I am hoping that he will have sorted out the funding for the treatment which has as we speak been rescinded by the Trust… sigh. Our biggest concern continues to be food and growth. Tom became very poorly while he was suffering with croup, and vomiting was a bad problem again. Luckily, we are being seen by the feeding clinic at GOSH this coming Friday. As nervous as I am to have our dysfunctional eating under scrutiny, I am hoping that some answers will eventually come out of it. I have to say I’m also hoping that they may be able to help Kesia who has very different problems with eating. Post Pals keeps making us smile. The letters from around the world are a source of sheer joy, our regular posters warm my heart especially and the surprises from Post Pals (the balloons are still floating around) are wonderful. Thank you so so much. Every time I write an update I expect things to quieten down. I feel so humbled each time I open the door to find more post for my kiddies – even me (thank you Wendy for the so regular hand made cards). I do not keep track well enough of the beautiful cards and letters people from all over the world and for that I am so sorry. Often, I find pen and paper and resolve to keep note of you all. So far, I have failed miserably, and can only convey in these updates the smiles you bring into my home. Words are too few and too poor to express how I feel about this. As ever, life continues to be a journey of ups and downs and unexpected pot-holes… quite a bumpy road this life of mine! The big news for Tom is that we attempted to make do without tube feeding. He became very unwell during the first half of the summer term, with a lot of vomiting that I haven’t seen for years. School was taking it all out of him, and between the exhaustion, vomiting and terrible temper, I became quite concerned. I did get an emergency appointment with his endocrinologist as the growth hormone treatment seemed the only new element. It was a good appointment – one of those doctors who listen to me and with whom I can have adult conversations. My concern was that the GH was affecting his heart – so we concluded that checking his heart before continuing would be wise. I’m still waiting for the appointment, but other things have taken my attention, so I am waiting rather than chasing. The plan is to start again, but at half the dose to see how he does. The issue of tube feeding reared its ugly head once more at that appointment – how unusual it is to have a child of Tom’s age be tube fed, especially without clear cause. So I went home, to a half term house with Zack and Kesia in full-blown stress mode: shouting, crying, screaming, running away from home. Not to mention Tom refusing food, both mouth and tube. And I had pretty much had enough. Of making feed, of having to fight with Tom each feed time, of doctors looking at me as though I were the one insisting on tube feeding needlessly. So I stopped. He did SO well. At first. The first three weeks went well. He didn’t eat loads, but it was regular, and he was drinking good amounts of milk. He even gained a little weight each week. And then, week 4, he just “couldn’t” eat anymore. I can’t explain it differently. He just wasn’t hungry at all; even giving him access to the kitchen at will was no good. He lost 5% of his body weight that week. As much as I try to keep myself together, my emotions run very high where Tom and food are concerned. Watching him lose weight was hard. On the one hand, I have to show doctors that I am doing the best I can to get him off the tube. On the other, I have to be answerable to family members who see Tom getting skinny and pale and listless. End of week 4 we started night feeds again. Tom chose to do that rather than day feeds. End of week 5 I had to start full feeds. I’ve had to take him to the optician – he had some strange shadows on the white of his eye. She confirmed that it is a sign of malnutrition. We’re back on track. It’s taking time to get him back to his version of full health. And it’s taking time for my heart to mend. Well, February has been somewhat hectic!! After giving us a nasty scare, Tom spent the rest of the month at home convalescing and being a royal pain!! He has really loved the cards he received, especially the colourful one. Whether because of his difficulty reading, short attention span or being a boy, he isn’t too interested by the writing part of the letters he gets!! I am an ashamed Mummy!! He does LOVE any cards that give him plenty to look at, or count, or make stories about. Half term went remarkably well, all things considered. Zack was home for the second half of the week and has been lovely. I wish I could convey what that means for us… I simply can’t. He always enjoys opening any cards that have come for him and loved Wendy’s – thank you! Daddy has been really present and helpful, but Tom’s stay in hospital took its toll, and as for me…! Well, as usual, crisis management is one of my strengths, but if life gives me a few days to gather myself I will no doubt have a good old cry! My sweet boy Tom is so alive and loud and (let’s face it) annoying these days – as any self respecting seven year old should be… that I feel I should be able to celebrate and accept that. But since the leukaemia, it really does feel like each day is a bonus, and seeing him so ill earlier this month brought all that back. Tom was at Great Ormond Street last week for a fairly minor operation. As predicted, we got home Saturday evening, despite a fair amount of pain. Unfortunately Tom spiked a fever on Sunday evening and I took him into our local hospital for a review Monday morning. He was admitted straight away and has been in since. Massive amounts of IV antibiotics seem to be getting the better of the generalised infection (of unknown origin or name), but one of his wounds is breaking down, and it now seems that a transfer back to GOS will be on the cards tomorrow if it is no better. The uncertainty of the situation is getting the better of us all and we are trying to juggle Tom and Kesi’s needs as best we can. Zack, luckily, is blissfully ignorant – the joys of boarding school mean that we can afford to keep at least one child at peace! I’d like to thank all those who wrote to us over Christmas and in the last couple of weeks. My brain is mush and I can’t remember for the life of me how many and who. We have wonderful regular writers: Maria and Michael, Wendy, Jane and Percy, are some names that come to mind. Thank you so so much! Our big news this month is that we finally have funding approval for Tom to start growth hormone treatment! It has been a long, hard battle – first to convince doctors to do testing, then all the communication needed to make sure that Tom was not likely to develop some nasty conditions as a result of the treatment, then the inevitable funding issue with the PCT. But, we got the OK, and last week I got the call from the homecare company. Tom’s first prescription will be home on Monday! He’s looking forward to it, but there is some trepidation. We’ve avoided needles, but the pen that will deliver the daily dose is likely to bruise and hurt somewhat… so my boy needs to be brave! The stoma is flaring up again. We’ve managed to keep the infection just about under control with thrush cream, but no longer… I’m waiting for the nurse to get back to me, and we are seeing the local pediatrician in a couple of weeks, but the poor boy is itching like mad and hurting. In good news, Tom has started working in small groups for both numeracy and literacy and is a much much happier boy as a result. He’s learning, and achieving, and loves it. He’s also been promised some hydrotherapy by the local special school, so I’m looking forward to that for some pain relief for him. As far as pain goes, it’s clear that his medication works, but only if he is kept very calm and physically quiet in the day, which makes it difficult to help him build muscle tone and strength. That’s where riding comes in, and is such an amazing boost to him. He absolutely loves JimBob, and can’t wait to get on. His face simply beams as he reaches for the reigns, and it’s a joy to watch him steer his pony, get him going with a gently kick or stop him with a fabulous “whoooooaaaa!”. On the whole, it’s been a good month for our little man. The other children are alright. Zack has been struggling at school, but we are realizing that he is comfortable enough there to be truly himself – and want to communicate without being able to well enough. Kesia’s therapist unfortunately suffered a family bereavement and has been away for three weeks which has had rather negative effects on her. Luckily they start again tomorrow! As for Nick and I, we have booked our first holiday together in a very long time. My mother will be looking after Tom and Kesi, with the fabulous support of Cherry Trees. I’m looking forward to it very much, despite being very nervous at the thought of being away and relaxing! Post Pals, as most of you should know by now is a small charity which does great work by encouraging everyday folk to do a simple thing – send a card to a sick child (and/or their siblings). It seems like a tiny gesture, and yet as a parent of children with health problems I can only try to say how important that gesture is. At the end of the day, when Tom is really tired from school and Kesia is struggling to be the “good” sister, the sight of a card or letter (even occasionally parcel) turns what could be a very long, miserable evening into one full of smiles. And all they ask of me is that I update all those wonderful people… I missed my August update and all of a sudden here is the September one! I’m going to summarise the summer. I think that the reason I didn’t update August is that it felt very long and very sad and sharing that was just too hard. I also had to keep a detailed account for Zack’s school and that just emptied me. We got through it without major incidents. I was able to avoid any hospital appointments with Tom, and Cherry Trees (www.cherry-trees.co.uk) and Challengers (www.disability-challengers.org) made life possible. And so into September!! First, September was Childhood Cancer Awareness month. In my world that means a lot. Many of my Facebook friends are personally affected by childhood cancer, as I have been and continue to be, despite Tom’s good health in that regard. In the US, 46 children are diagnosed with cancer each day. Here in the UK, it’s 6. Six babies every day, whose parents are told, “Your baby has cancer”. That’s not rare. It’s simply not talked about. I am not that brave, but I want to do something!! Why am I so vain about my hair? Goodness knows! But one of those fabulous cancer mums suggested something that I can do, that feels big to me, and that I hope can help a child somewhere! I have very long hair and what I am hoping to do is cut it all off to donate. My hope is that my ponytail will contribute to making a wig for a child suffering from hair loss. Be it through cancer treatment or something else. My secret hope is that my hair could be part of a “happy wig” – maybe pink or glittery… something a little special for a special girl. So I’m looking, and I hope to get something sorted out sooner rather than later, especially in terms of fundraising. Again, I’m not sure where the money will go – but it needs to be helping raise awareness of childhood cancer. That’s where my heart is. Phew! Now on to update you all about my Tom!! We’ve had a busy month. Tom started school in the juniors which has been a tough transition. School have on the whole been really good, but it’s difficult to remember how hard he finds schoolwork when he engages so readily in the classroom. He’s been having a lot of nightmares and not been happy about going to school so I explored the possibility of special school. I’m really happy to report that as a result, the local special school is going to be working closely in partnership with the school. They are hoping to exchange students on a regular basis, exchange teaching methods and ideas which will directly help Tom with his literacy. What’s more, they are offering to give Tom some hydrotherapy which is fantastic as we are battling pain during the day as well as at night now. Tom’s also started riding with the RDA (www.rda.org.uk) which he is loving and which I hope will strengthen him enough to alleviate some of that pain. Feeding is a nightmare right now and I’m trying very hard not to let it bother me too much. The only thing he wants to eat is chips and with Kesia at home it’s very hard to justify making chips daily, only for him. Thank goodness once again for the tube, and for the blenderized diet! This week has been dominated by sardines and spinach, and he is looking nice and healthy! Small oily fish, that’s what I say! We had some really good news last week as we went to Tom’s yearly cardiology check up. He was fantastic about the ECHO, and the Doctor is very happy with the state of his heart. As he says, his pulmonary valve is no longer there, so there is leakage, but his heart is doing really well, much the same as last year. That’s really good news, as surgery is therefore not on the horizon yet. Long may that last!! We also saw the haemophilia doctor while we were there – another check up – who was very concerned to learn that a minor surgery was planned for Tom at our local hospital. She told me that although Tom was probably going to be fine, his bleeding disorder is such that the local hospital does not have the resources to deal with a possible bleed. I have to say, I’m quite pleased that this will now be done at GOSH because the local team had not given the bleeding issues any thought – I had had to remind them. It’s nothing huge – Tom just needs his man bits to be brought down where they belong!! Again, something I’ve been keeping an eye on for five years, knowing that it is a common issue in Noonan syndrome. At least it’s getting dealt with now! In other news, Kesia has started psychotherapy and seems to be doing well on it. I’m tired as it takes a lot of time in the week but happy to be doing something proactive for her. She had a crazy week at the end of September when she attended a glitzy ceremony to collect her WellChild Award (for Caring Child) which I think will have left her with some amazing memories. It was truly moving to be able to focus so much time, appreciation and love on her and her alone. One last piece of big news for those of you still reading this epic!! Together with a few friends, we are launching a new support group for people affected by Noonan Syndrome. It is called Noonan UK, and is a chapter of TNSSG (www.noonan-syndrome.org) who provide such amazing support in the states. We have a facebook page of the same name and will eventually look to becoming a charity once we are raising enough money. We’ve already had contact from new families and are hoping to get UK families together very soon. Thank you all for those wonderful cards… Wendy whose homemade card are stunning, Dottie the Dalmatian who provides giggles galore, Jane and Percy as always, and all those of you who have sent cards, letters and gifts. A lot of the time, I find it really difficult to see Tom as a chronically ill child, and one with complex special needs. He is in a mainstream classroom, he has no communication difficulties, and he runs around, has friends, and shouts at Mum a lot. Then he has sports day and I realise that I’m not the only one with this problem. Even his teachers find it hard to realise that he’s running too much, that his extra feed is really essential to his health, and that all the fussing I do about pacing, and feed, and all those other little things are the reason he is so healthy at the moment. He’s had a couple of really nasty infections in his stoma for the past three years. Non stop. And yes, we’ve tried several different kinds of antibiotics, both oral and local, many different creams, bandages, steroids… but nothing works. So the infections become a new kind of normal. Because he’s such a stoic and happy little chap, the fact that he’s got the equivalent of an infected ear piercing (times by a lot) in his tummy and has to keep the “earring” in, is not something he complains about. He’ll squirm a bit, but on the whole, just gets on with his life. On the day of his show (more on that in a little bit), I got a phone call from school to tell me that his G button had got pulled out. It’s not a life or death issue, but as soon as the button comes out, all those little cells say “here’s our chance to fix this hole that shouldn’t be here”. So we’re on a clock. I know how to put the button in of course, but no one at school does. Last week, I was twenty five minutes away, and Kesia was half way through a vital session of psychotherapy. So as soon as she came out, my adrenalin went into overdrive (outdated fight or flight response – just annoying). My whole being was bent on getting to Tom as quickly and safely as possible. I got home to get the supplies I needed (no spare button, but I did find a wiggly – that is a PEG… like a button, but with an attached tube, so it dangles from the stoma), then rushed off to Sam’s house as she had taken Tom home. Without the button in place, the poor lad’s infection was looking really horrid. So I was able to clean it all up as best I could – loads and loads of Betadine was, a bit of bonjela to numb the area before inserting the wiggly. Luck being on my side, the wiggly is much finer than his button, and the stoma hadn’t closed up too much, so insertion didn’t hurt. Bless Sam; she then fed both of them. Needless to say, Kesia had picked up on all my adrenaline filled anxiety without any of the calming words I was saying. I was not worried, simply knew I had a job to get done within a time limit. The next step to that afternoon was to go and watch Tom’s show about a scarecrow – Tattybogle. Tom played a bug and did beautifully. But it is one of the times when I notice quite how different he is to his peers. So, so tiny! With the move to junior school happening, and many new children joining the school, Tom’s cocoon of understanding and helpful classmates is being breached. He is so comfortable that his awareness of these differences is very limited. So just now, Tom feels like a very vulnerable little boy! He’s doing so well with his wiggly. I want to keep it in place because it’s easier to clean his stoma than with the button, and I’m hoping that as the stoma closes up around the thinner tube, some more healthy cells will help fight the infection. This is just me, a mum, talking, but the nurses and doctors haven’t got an answer either. Finally, a huge thank you to all of you who sent post. Tom loved the letter from Maria and Michael. Jane, as ever, Percy’s letters continue to enchant Kesia, and I am forever grateful to the wiggly bags that are making their way here as we speak!! It’s been a whirlwind of a month again! Tom is doing really well at the moment. His pain medication is working, so finally after six years, he is sleeping most nights (fingers kept tightly crossed). It seems that the small amount of growth hormone he was given in February did him a lot of good, so we’re just waiting for things to be set in motion so that the treatment can begin. I have to say that I have not yet told him that it means daily injections. Unfortunately, his behaviour has exploded, and we’re trying to cope, Nick and I. Both Kesia and Tom are deeply angry and upset, which is making home-life tense. I’m really pleased to say that services are coming together for Kesi though, and she’s going to be getting psychotherapy to help her. As for Tom‚Ä¶ back to basics and a lot of time-outs. Zack is doing well at school. We don’t see him often but speak every couple of days! Other than the daily ups and downs of Tom’s feeds and stoma infections, his health is more stable this year than ever before. Long may it last! Thank you for our post and Wendy’s home made cards are simply beautiful! The pirate ship, blanket (now named blankie) and book was amazing!! Tom got to it so fast that I haven’t found out who it was from though. Life just seems to go on! So, Tom has had a really good month! He’s learnt to feed himself using a syringe – no mean feat as it’s quite tricky to hold the syringe, pour the feed, unclamp the tube, plunge and repeat!! Nights have been difficult as he’s been in quite a lot of pain, but we have at last seen the pain consultant and are upping his meds as well as putting some work in with a psychologist. I’ve won the growth hormone battle!! There’s funding etc to put in place, but the consultant says he responded really well to the test, and his predicted adult height of 4’6 is such that it’s worth going for it. Tom doesn’t yet know it means an injection every day‚ I will let you know when we get started! Tom has really enjoyed the post this month, and I am slowly beginning to catalogue it to say proper thank you’s. The fridge magnets were particularly successful! As for the other honeys! Zack is doing well at school and we got through the holidays. Kesia had a good break in France with her grandmother, but the harsh reality of life is creeping back, so I’m really pleased that she is about to start some psychotherapy. Nick (Daddy) is working hard and keeps a roof over our heads and food in the fridge. I think he wishes there were more smiles at home, but is often touched by the post from you all, so thank you. Mummy (me) has had a hard month, with a bad flare up of fibromyalgia and depression, but today there is a glimmer of light. Thank you all so much. It made my heart thrill to see Vikki on telly with Russell Howard – we need more of that!! This is a much delayed update, for which I am truly sorry. Not least because Post Pals has allowed us to get through the last few months. So… quick update before I go into more details. Tom, my official little Pal is doing fairly well at the moment. He’s had to undergo a lot of tests lately to determine why he isn’t growing. They were done at my insistence, which is tough. He has so many ongoing issues that the doctors don’t think of growth too much, but I have to think about his future and how I will answer him if he asks me why he is so short. Tom loves the cards, especially the ones that have bright colours and pictures, or things to count. He also loves stickers, and the passion for little cars is still very much alive. He’s brilliant at pretending games, so a piece of string and a cardboard box and he’s happy. On an aside, I’ve finally cracked the huge problems he was having with reading!! We’re reading Peter and Jane ladybird books, and he’s doing really well, even enjoying books at last. Next chronologically is my darling girl, Kesia. She has had a very hard time lately, and I have to thank Jane and Percy the Poodle for being such steadfast friends. Zack’s departure to residential school has been tough on her, and she is sinking. In February, after already struggling with food, she suddenly stopped eating altogether. This was extremely worrying, and went on for three weeks during which we were happy if she ate a slice of bread each day. It’s taken us a lot of work, tears and banging on doors, but she finally has an appointment with a psychotherapist at the end of April. She’s also found school very frightening, and her whole world seems to be falling apart. Although she rarely says much, I know that receiving letters from Post Pals is a real lifeline for her. I find the letters all over the house, and they move around as she reads them and leaves them for later. Should one not be where she left it, she becomes distraught!! Maybe one day I will be able to teach her that she should keep them somewhere safe! Then of course we have my oldest little man, Zack. He is not a Pal, but often feels like one as his special needs have dominated our family in the last year. Today was a very emotional moment as I opened a parcel addressed to him (understandably, I do check parcels before passing them on). I was astounded to find the most beautiful handmade quilt. And not an ordinary quilt: a weighted one. The detail of the work is phenomenal, and I cannot begin to imagine the time spent on making this. I had tears in my eyes as I laid it on his bed in his brand new bedroom. For reasons of safety, we have had to go up into the loft and create a small bedroom for him during the holidays. It just wasn’t safe for any of the children to share. So he has a lovely new room, with this stunning quilt. He will be coming home this afternoon for the Easter holidays, and I am quite sure he will love it. I will be posting a photo as soon as he is here. Talking of photos, I must explain Tom’s recent photo. Given our family, we have chosen to be very open about the boys’ conditions. Not long ago, Tom asked for a t-shirt. He wanted it to include his name and that he has ‘Nrome’. It took me a few days, but I finally realised he meant Noonan syndrome! He looked very exasperated at the length of time it took me to understand!! Having posted this on Facebook, proud Mummy of a little boy who accepts himself faults and all, imagine my surprise when a few days later, a t-shirt matching the exact description arrived at home, thanks to my mother! It’s been a hard few months, but right now, life feels ok. Long may that last!! Big changes! Zack is settling in well at school. It’s up and down over there, but at least home life can settle a little. Zack has really loved the Post Pals letters, especially one from an elf! Kesia has been struggling quite a lot since big brother left, and the cards from the reindeers have helped her a lot – she was so excited to know that she and her brothers were on the good list! Tom has been quite poorly this month. His legs and arms are hurting more, and often during the day now which is upsetting him quite a lot. He really likes getting post, especially when there are pictures as his reading is very limited. We are trying to find out why he hurts, and mostly a way of managing the pain, but without luck so far. In December he will be going for a growth hormone test to find out whether or not we can try growth hormone treatment which could help his appetite and pain as well as his height. He is tired, so not eating much at all, and trying to fight off the winter bugs. On the whole though, things are better, but little Tom is finding life a little too painful for his liking! Huge thanks to Jane, and to the reindeers and elves. What a very strange month!! Zack started residential school at the beginning of the month and we had two weeks of strange peace and quiet. He has now been back for a two week half term and we are all feeling the stress and sadness – none more so than Tom and Kesia. He goes back to school next Tuesday, and in a strange way, all of us including Zack will be happier. So Tom… He is as hyperactive as ever, growing more exhausted as the term goes on, but absolutely denies being tired!! The pain at night is testament to my little boy’s character being greater than his body’s strength! His eating is not very good, but I had a great appointment with a dietician who at long last supports the home made blended food I use when tube feeding. We are still trying to address the pain issues, but until Zack has been away from home for a while, the doctors feel that they cannot do anything. Another big battle is the issue of growth and growth hormone. I am trying to gather strength for this battle, as Tom is so incredibly tiny and already very aware of his height. We have so far avoided flu and other nasties of the winter – the mild weather has been really good for Tom, and even his asthma hasn’t reared its head yet. He will be on the list for the swine flu vaccine I’m told so I hope he will avoid the bug. Mum and Dad have crashed… We are trying to keep going, or at least not crash together, but it’s a bit tough!! Thank you so much to Post Pals. Kesia in particular really benefits from it. Although this is more of a sideline, in our family it has proved critical. For such a little girl, she has much to bear, and does it with remarkable fortitude. Once Mum and Dad have dealt with the two boys, there just isn’t enough energy to dedicate time to her… receiving letters and cards really do make a difference. Thank you. Particular thanks to Jane and Percy the Poodle. Kesia cherishes this relationship far more than her words are able to say. I think that the end is in sight! This last year has been traumatic at best, but I think that all the tears and hard work have come to a good conclusion. Zack is about to start school at a wonderful residential special school for boys with Asperger’s Syndrome. It’s been a hard battle, but the fact that he is looking forward to Friday is a joy to behold. So… that said, our little Tom comes to the fore once more! Following his week long stay at hospital this summer, I am seeing his consultant this week and will update soon! We are also seeing the cardiologist next week for his yearly check-up. That’s always a time when the reality of Tom’s condition is thrust upon us a little more. He has been very tired since school started, and the difficulties at home mean that he often feels very angry without knowing why. I hope that this will settle once Zack is at school. A big breakthrough is that we are now using Widgit symbols to help him read, and he is loving that – finally he can access books like the other children! I’m happy to be able to concentrate a little more on him, as he has been suffering a lot of leg pain at night. Long may this last! A big thank you to Wendy for her beautiful cards, and also to our faithful friends, Jane and Percy. Apologies to anyone I may have forgotten! Well, summer is over and we survived it!! We’ve had lots of help from social services, and thanks to that, the summer has been a lot better than expected. Tom has had a week in hospital to try and figure out why his legs hurt. The nurses noted that he was indeed in pain and did not want attention. Unfortunately that’s as far as we got, and in the meantime, he’s suffering a lot of pain even in the daytime. It’s wearing him down a bit and he’s very tired. We have a lot of hospital appointments in the next few months. Kesia still really loves hearing from Percy the Poodle. She has just spent a couple of weeks in France with her grandparents, flying all by herself for the first time. Zack has done well this summer, although his anxiety levels are rising as term approaches. Although the LEA has approved funding for his new school, the school itself is waiting for September to be able to assess him. Fingers crossed that he’ll be able to start soon. I’m glad to say that this month has been better than the last few. We’re not out of the woods yet, but the light seems to be at the end of the tunnel! Another eventful month here! Tom, being our little Pal here, should go first! Tom had a wonderful if tiring end of term. He loved his school trip and the school had made sure that he could have a seat in the coach and take his wheelchair. He sang beautifully in his end of term show and said great goodbyes to his teacher. We’re really thrilled that he will be keeping his LSA at school and has a lovely new teacher to look forward to in year 2. His health is up and down and I’ve noticed that he’s more reliant on his wheelchair. Whether that is because of his medical condition or because he wants to do more as he gets older, I don’t know. He’s eating really well – he tried omelette and liked it, and has tried peas and carrot, so I’m very proud of him. Unfortunately, I’ve slightly reduced his tube feeds as a result, and he has lost weight! He’ll be spending next week at Epsom General Hospital, so any post would be really lovely the week of the 10th. I can take it to him easily. He’s in for observation as he’s in a lot of pain at night, as ever. Kesia is doing well and loves the regular correspondence she receives from Percy the Poodle and Jane! Zack is not doing well at all. We are still waiting to hear from the school that the LEA finally approved. Unfortunately, his violence towards me has increased, and the police are now involved with our family – very kindly I might add. He’s such a confused little boy and has so much rage in him, it’s a heart breaking situation to be in, as his rage and behaviour put us at risk. Mum and Dad are surviving. Not much more than that, but hoping that a school decision will help us all. Huge thanks this month to Jane and Percy the Poodle, regular as ever! Kesia is getting lots of post, but Tom and Zack very little. I love that people realise life as a sibling is hard sometimes. Tom really loves getting cards – simple ones are great since he doesn’t read. Zack also likes cards, but more for the pictures than the text – unless there’s a joke or scientific fact in there! Tom’s had a tough time this month. He’s had bruises all over, so had to have a blood test to check that his leukaemia wasn’t starting again. He hates bloods, so that was a difficult day. Luckily that’s ok. We think that his platelets just aren’t working very well. Although he had been eating really well, he’s found that harder again, so we’re more dependent on the tube once more. Infections in his stoma have made that sore, particularly at night when he has a feed all night. More leg pains again too, so the poor thing has been sleeping really badly. On bigger news, we’re looking into growth hormone to help him grow. That’s going to involve some nasty tests, so I will let you know when he is due in hospital for those. Family-wise, things broke down quite badly a couple of months ago. We’ve had a lot of intervention from social services, and Zack is now at the respite centre every week day. We are expecting a decision about a special residential school for him in the next few days. A huge thank you for all our post and special thanks from Kesia to Percy the Poodle as she loves his cards and letters! It’s been a difficult month for Tom. He’s very stressed by the home situation. Big brother Zack continues to ignore him or to be very aggressive towards him. That’s affected his fatigue and pain, so he’s not doing very well. The normal bugs around have hit him particularly hard, and a bad attack of croup led to a trip in an ambulance to hospital. Luckily he wasn’t admitted, but we now have a nebulizer at home. Our big problem is getting food into him. Even with the tube, his little body is just saying no, so he’s vomiting a lot. He keeps smiling though and tells his Mummy he loves her about a hundred times a day! Home life continues to be difficult. I had a breakdown about six weeks ago and finally social services are stepping up. But it means Zack has to be in respite nearly every day and is really struggling to understand what is happening. 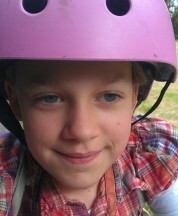 Kesia has been his primary carer for over a month now and is a remarkable little girl. We love receiving cards from Post Pals – it really makes the difference between a good and a bad day. A big and continued thanks to Jane and Percy for keeping such regular contact with Kesia. I’m sorry I didn’t do the update in January. It was a difficult month, but made so much easier and brighter by Post Pals – there was something new on the threshold every morning! I’d especially like to thank everyone for paying as much attention to Kesia and Zack as to Tom. While Tom has a lot of medical issues to deal with, we often think of Zack as our most needy child with his autism, as it affects all the family. And Kesia who is stuck in the middle copes as best she can. Post Pals is teaching Zack to share, which is the most amazing sight in the world. He received a parcel one morning this month (mystery sender, thank you!) and immediately, of his own accord, proceeded to divide it into 3 equal parts!! Tom has been getting very tired this month and struggling a little with school. On the up side, he’s been using his power chair, which makes him feel and act far more grown-up. He crashed into a lamppost yesterday morning and hurt his foot though! We think he’s OK, but we’re keeping an eye on it. Although we’ve had half term, the school year is obviously becoming hard work for him physically and he’s coming down with a lot of little bugs which roll into one another. Mum’s getting better though – slowly! Thank you all so much for all you do. We all really appreciate the support and love that comes through our door so frequently. I’ve been a little better and have started trying to keep track of everything, but I’m not up to speed yet. Percy the Poodle deserves huge thanks for his letters to Kesia though! The last month has been very difficult for the whole family. Tom’s health has been reasonably stable, although he has been very tired at school. Unfortunately, he’s been ill throughout the Christmas holiday, with lots of coughing veering to asthma, vomiting and now a tummy bug. This is quite typical of Tom when he’s tired. Big brother Zack has had a hard December, as always, with all the changes. His autism makes the holidays especially difficult, but he’s done well over Christmas. Tom’s sister, Kesia, is really struggling. She received cards from the Reindeers this year, oh my goodness thank you! I’d read about the scheme, but was thrilled to see that she was the one receiving them. It was as if the Reindeers knew how sad she is. She is deeply unhappy, and is refusing to eat and drink which is causing us a lot of worry. Zack’s community nurse has started working with her, but we anticipate the need for psychiatric help sooner rather than later. One of the few things that make her smile are her cards from Post Pals, so THANK YOU all! Mum collapsed with all of this going on, so December was bad. Social services are not yet responding despite professionals telling everyone that we are heading for family breakdown (awful words to hear). Tom sleeps very badly due to pain, and this has been worse with the end of term, so my sleep is very disturbed, causing complete exhaustion. Ooh, this sounds like such a moan, I’m sorry! My main update is that this has been a tough month for us, and Post Pals more than anything or anyone else has made us smile and feel less alone. I cannot thank you all enough. Due to my ill health and general collapse, I wasn’t able to prepare Christmas at all. Luckily we spent the holiday itself with grandparents, but we had no tree or cards or decorations. Thank goodness for Post Pals. There was a card or gift for one or other of the children nearly every day. I am so so grateful!! The extra cards came at just the right time for us – thank you. I can’t put into words the gratitude I feel for all those who sent things to the children. They shared everything between themselves, in some really wonderful moments. Thank you for giving them Christmas in a difficult month. Tom is doing fairly well at the moment. With the winter on its way he’s fighting lots of infection, especially in his stoma, which means a lot of antibiotics. His recent cardiology appointment went well, so it’ll be another year before we go back. He has really struggled with fatigue this term and is very dependent on his wheelchair. Last week, he took out his new power chair for the first time. It was donated by CHIPS and is changing his life. He drives it on his own, and is playing around with his brother and sister, independent for the first time. He is being very cheeky, and behaving more like a five year old than he has before. Tom took his Post Pals box into school for show and tell on Friday and was so proud to show off his special letters. Thank you everyone! Thank you to Tina for her handmade card to all three children and to Julie for being our first poster. Thank you for the cards from Tasmania, Finland, America and all over the UK. Thanks also to Graham, what an amazing gift. Tom loves the remote control card and all three children have really enjoyed the colouring. It was so thoughtful to include batteries! We all hope you’re doing well yourself. Tom also loved the Halloween spider he received! Post Pals puts a smile on Tom’s face, and Zack and Kesia also look forward to the postman coming every day now. This has been a very tough few weeks for me, and every time I see a letter addressed to Tom, I smile. Thank you, from the bottom of my heart.